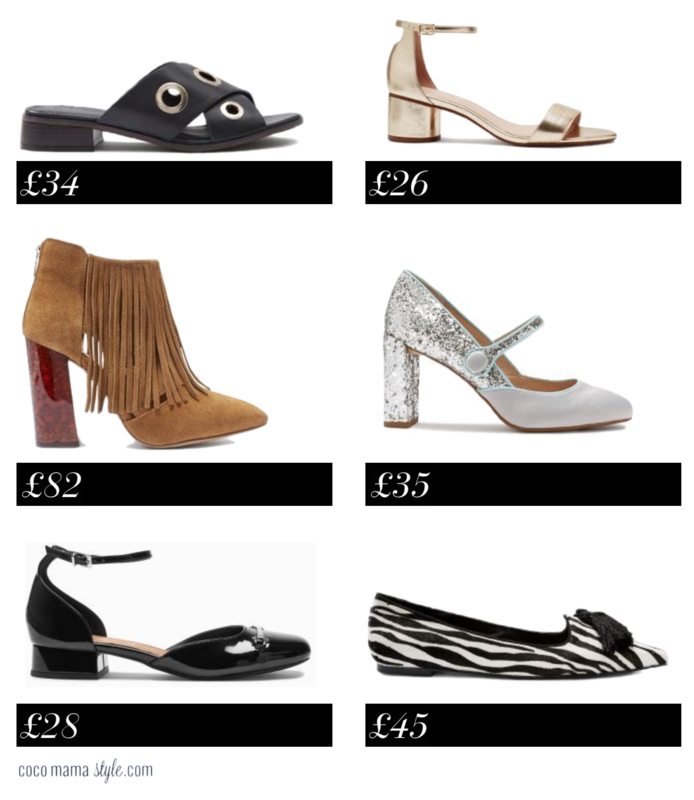 It may not surprise you if I told you that it’s possible to buy every high street pair of shoes in this post – that’s 12 pairs – and still have £99 spare before you reach the ticket price of one pair of Saint Laurent boots. Now, I’m not suggesting you go out and splurge £526 on 12 pairs of shoes, but an homage or two to high-end footwear for a trend-led style fix is a purse-friendly way to try a new style without breaking the bank. This season Next are spot on with their shoe collection from the flattest flats to the highest heels and block wedges in-between; the detail, colour options, textures and designer-inspired styles will leave you spoilt for choice. Those eyelets are popping up again, this time in oversized form to update your cross strap mules for 2016 as an alternate to the relaxed pool slider. Take the elegance up a notch and go all-over metallic with Next’s Miu Miu-a-like ankle strap sandal with low block heel; comfort and dressiness can go hand in hand. Fringing is sticking around and tan suede ankle boots offer up an easy way to rock this boho detail. With cut away sides an ankle boot can work well into the summer worn with shorts and dresses. When it comes to Mary Janes, think Gucci’s maximalist muse; more is more so forget minimalism, clean lines and balance and instead go big and bold in your prints, shapes and pattern mixing for geek chic at its best. For your daytime flats update choose from Gucci-esque rounded toes with metal hardwear or tassel-trimmed textured points inspired by Jimmy Choo. 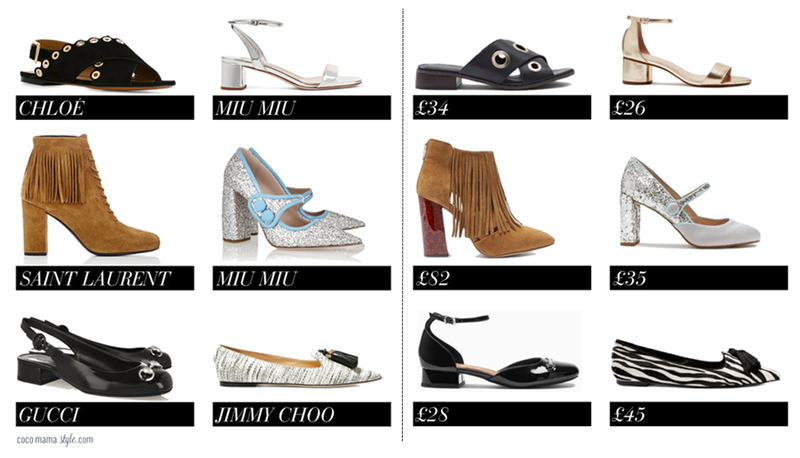 From fringed platforms in fawn and slingback points to rose gold sneakers and two-tone heels, there’s a shoe for every wardrobe and occasion with a luxe look for less.